Help to keep your business details and company logo at the top by giving away as many of our Hi Vis Safety Sticker Giveaways as you can. Our Hi Vis Safety Sticker Giveaways will all reach you ready printed up with your personal business details and company logo to ensure you stay advertised. Also they will help to keep everyone seen during the long winter nights. To find out more about our Hi Vis Safety Sticker Giveaways click here and fill in the contact form and we'll get straight back to you. 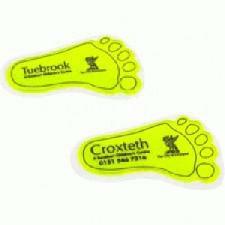 Other promotional and personalised items besides our Hi Vis Safety Sticker Giveaways click here.